QuickPro Locksmith offers emergency locksmith, home / house and car locksmith, lockout and lock change in Marietta, GA.
All it takes is a moment distraction for you to accidently lock yourself out of your car. 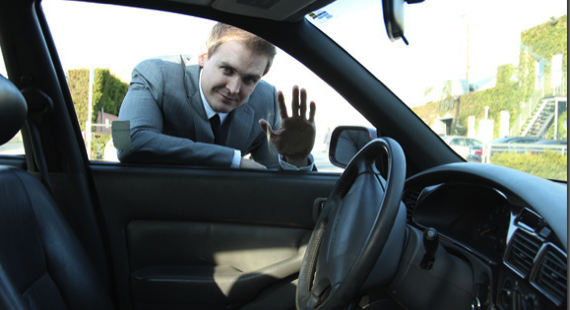 An auto lockout is intensified if an infant is accidently locked inside a car. Instead of panic, all you need to do is call QuickPro Locksmith of Marietta. Our roving fleet of locksmith mobile units can roll up to your location in no time. That is true whether you’re calling in the morning, near dinnertime or after midnight. Upon arrival, the certified QuickPro Locksmith will quickly assess the situation and have your door opened within minutes. Whether you have a standard car lock or remote keyless lock, the QuickPro Locksmith can get you back behind the wheel in a snap. 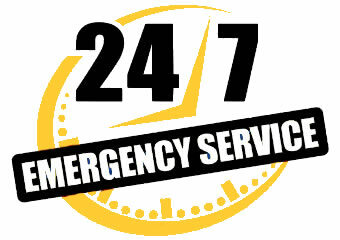 The same emergency call can be for an accidental lockout of your home or business. Once again, it only takes a small distraction like answering a text or lugging bags that can have you closing the door on your home with the keys inside. All you need to do is use your cell to hit speed dial to QuickPro Locksmith of Marietta to get you back into your home. There are many moving parts to your average tumbler lock. Over years of constant use, those moving parts will eventually grind down. You’ll notice this happening when your locks stick and you struggle to gain access. Before you accidentally break a lock off in the keyhole, you might want to consider replacing those locks. The Marietta QuickPro Locksmiths are equipped with a wide range of lock replacement kits. If you prefer to purchase your lock kits in advance, the QuickPro Locksmiths will make sure those kits are properly installed. If someone has recently moved out of your home or left your business, you might want to consider replacing the locks. This is especially true if that parting of the ways wasn’t as friendly as you wished. You don’t want to think the worse of someone, but that doesn’t mean putting your security at risk. In just under an hour, all the locks on your home or business can be replaced by QuickPro Locksmith. That is genuine peace of mind. Instead of driving around Marietta looking for a place to make a duplicate key, let the QuickPro Locksmiths come to you. Our trained locksmiths can copy any key right on the spot. That includes front doors, cars, security gates and other locks. If your key chain is weighing you down, you might want to consider re-keying your locks so that one key fits them all. It will be lot easier to keep track of your keys when there is only one! Add it all up and it’s clear to see that QuickPro locksmith is the only call you need to make for any type of lock situation in Marietta. Make sure you program our number into your cell. You don’t want to get stuck without QuickPro Locksmith!